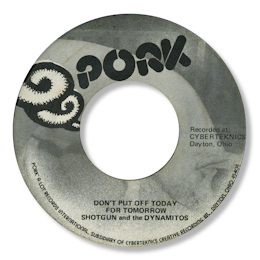 This obscure group came from Dayton, Ohio and this 45 from the interesting Pork label is the only 45 that I know from the guys. The Dynamitos provide a simple but effective backdrop for Shotgun who is a really fine vocalist, displaying some good gospel influences and breaking forth into some lovely screams as the song goes on. A real grower this.